Orlando, FL. – Florida Hospice & Palliative Care Association (FHPCA) announced the recipients of the Awards of Excellence in Hospice and Palliative Care at this year’s Forum. The Awards of Excellence program provides a venue for hospice professionals to honor their peers and highlight the very best hospice has to offer. The Catalyst Award recognizes an individual in any role within an organization who has consistently demonstrated leadership in forging the collaboration that makes hospice unique. This individual seeks excellence not only in his/her field, but also in cooperation with other disciplines. This individual fosters collaboration and brings teams together to the betterment of his/her organization. Susan Finkelstein is Suncoast Hospice | Empath Health’s Pediatric Services Manager and a nationally-known subject matter expert for pediatric hospice and palliative care. She has created pediatric competencies and collaborated with team leadership to ensure staff providing care to pediatric patients have received training and been evaluated against best practice core competencies. Recently, a mother received a diagnosis for her unborn child that is typically incompatible with life and Susan stepped in to help the family. The mother’s healthcare provider referred her to Suncoast Hospice | Empath Health’s perinatal loss program so they could provide her with counseling support and birthing assistance. Eventually the baby was born and named Veronica and lived after birth. Susan’s team quickly admitted Veronica into Suncoast Hospice | Empath Health’s pediatric hospice program. In a further show of advocacy for this family, Susan worked with the state attorney and public defender so that Veronica’s mother could be released from jail on her own recognizance and spend time with Veronica before Veronica’s death. Susan’s efforts have resulted in numerous internal departments within Suncoast Hospice | Empath Health embracing and supporting care of pediatric patients. The Hospice Story Award is given to the person or organization that best captures his or her most meaningful hospice experience with an original creative work. The award recognizes an individual in any role within a hospice organization who most creatively and effectively conveys what their hospice experience means to them. The story can be told from any viewpoint, be it spiritual, humorous, sensitive, reflective, inspiring, challenging, etc., and may use a variety of creative mediums. The award recognizes that the work of hospice is transformative and purposeful; changing not only those we serve but also those who serve. “The Outback” is a short film created and produced by Treasure Coast Hospice on the life of Dylan Picariello – who was diagnosed with an inoperable brain tumor at the age of 31Ž2. Although Dylan is currently cancer free, he is a quadriplegic and dependent on a ventilator to breathe. The short film shares that Dylan was admitted to the Little Treasures Hospice Program after becoming more lethargic and beginning to suffer lapses in memory and concentration. With the help of his therapist and a team volunteer, Dylan began producing paintings by holding his paintbrush in his mouth. To demonstrate his creativity and express his appreciation for the support provided by the team, Dylan decided that he wanted to donate one of his paintings to a community fundraiser that supports the Little Treasures program. Dylan worked diligently on his painting, which became more challenging as he became weaker and more lethargic. Working almost to the day of the event, Dylan created a beautiful landscape painting that he titled “The Outback.” Dylan’s hospice experience encouraged him to create and paint. He has completed nearly 20 paintings in the past two years. The Excellence in Program Innovation Award recognizes services and programs provided by a hospice organization that demonstrate the power of creativity and ingenuity to impact the practice and the community. Highlighting innovative services and programs through the Excellence in Program Innovation Award not only rewards the accomplishments of hospice programs, but also challenges others to adapt inspirational ideas to their own programs and communities. Sharing and celebrating creative care establishes “best practices” that propel all of us forward. The “Traditions” program was created by Suncoast Hospice, a member of Empath Health, to increase the access to hospice services to underserved communities in their area, specifically African American, Hispanic, and Jewish communities, all of whom have historically underutilized hospice services. Suncoast utilized their Community Partnership Specialists to build relationships and establish trust with community leaders, faith based organizations and various community groups. It was essential to bring various voices to the conversations in an effort to create presentations that were relevant to the needs of the community and addressed their perceptions about hospice care. Each Community Partnership Specialist was responsible for listening, creating, and ultimately implementing unique outreach strategies to each community. “Traditions” identifies the customary values of each community and uses it as a foundation to deliver effective outreach resulting in increased access to hospice services and the provision of culture-specific end-of-life care. Led by Cornerstone Hospice and Palliative Care Chief Operating Officer Rhonda White, Cornerstone’s leadership team agreed to provide patients in-home access to two primary-assigned registered nurses (RNs), 7 days a week, extending into early evening hours. This plan revolutionized Cornerstone’s RN support model, resulting in better consistency, enhanced quality of care, and higher patient/family and Care Partner satisfaction. Cornerstone’s 7-day extended RN case management model focuses on three key areas: Patient/family satisfaction, operational quality and employee morale. The second “set of RN eyes” improved the adjustment of care. The Breakthrough Awardrecognizes an individual or team who, through their efforts to research and implement new ideas, has improved hospice care. Whether piloting a new program, streamlining a process or discovering a better way to provide a service, the recipient of this award advances the mission of hospice and provides a path for others to follow. Thomas A. Dalton has been in the field of music therapy for over 20 years and is a Board-Certified Music Therapist and a Licensed Mental Health Counselor in the state of Florida. He is a full-time employee of VITAS Healthcare in the Broward program and serves as the Senior Music Therapy and Music Therapy Internship Director. Thomas researched and developed the use of the Music Therapy and MIDI Protocol (MTMP) with hospice patients with Chronic Obstructive Pulmonary Disease (COPD). The inspiration for this project was based on Thomas’ work with COPD patients including working with his mother who is also struggling with COPD. The purpose of the study was to improve respiratory symptoms, well-being and quality of life for patients in physical, emotional, psychosocial and spiritual domains. The Synergy Awardrecognizes a group of people in any role or configuration that has consistently demonstrated the ideals of collaboration and teamwork in working toward a goal or mission. This group not only seeks excellence within itself, but also inspires excellence and collaboration throughout the hospice environment. The clinical and HR management teams at Hospice of the Comforter determined that listening to staff’s concerns and ideas would be a focal consideration in managing change. The clinical and HR leaders decided to structure their action plan based on the Gallup employee engagement survey. Specific challenges that were identified and addressed included a need for workplace changes that would improve the clinical staff’s ability to do their work; a need for consistent, transparent communications; and a need for consistent efforts to demonstrate appreciation of the staff. When the team evaluated the effectiveness of their efforts, they discovered that their scores on the Gallup Engagement Survey had improved by 14 percent. For more information about the Awards of Excellence Program, to see past winners and to find out more about submitting a nomination in 2018, please visit www.floridahospices.org/forum. To learn more about hospice, palliative care, visit lethospicehelp.org. Nominations are judged by a selection committee composed of leaders within the hospice industry. The selection committee considered the examples provided and specific details that demonstrated how nominees have exceeded expectations and, by their actions, made those around them better. Nominees do not compete against each other; rather they are judged individually against a high standard of excellence and innovation. 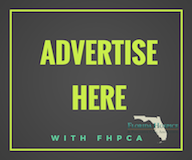 Florida Hospice & Palliative Care Association (FHPCA) is a not-for-profit, IRS Section 501(c)(3) organization representing hospice patients and families, hospice professionals and hospice providers. FHPCA strives to assure excellence in, and expand access to, hospice and palliative care, and advocates for the needs of those in the final stages of life.